McKinley Beach continues to be one of Kelowna’s hottest new development communities. With the first two phases completely sold, construction is well underway on a number of homes with residents looking forward to moving in later this year. With Summer in full swing, McKinley Beach isn’t wasting any time welcoming new visitors to the community. The new Showhome opened in June and over 2 kilometres of hiking and biking trails are already available to the public who have been busy exploring the area, with another 20 kilometres planned for the future. The trails feature stunning vistas, and a range of trail types that run from the lakefront all the way up to the future on-site vineyard and winery location and throughout the 872 acres of development land. For watercraft enthusiasts, McKinley Beach is a true paradise featuring a 92 slip private Marina available to residents. Security system, lighting, 15 amp power, and water is all installed for user’s safety and convenience. A protective, concrete breakwater ensures safety and ease of access for boats. Residents can lease one of the private slips; anyone interested can contact Ron Spence for details at 250.864.3625. Those looking to take advantage of a naturally balanced lifestyle, set within the beautiful Okanagan Valley, will feel right at home in the McKinley Beach Community. 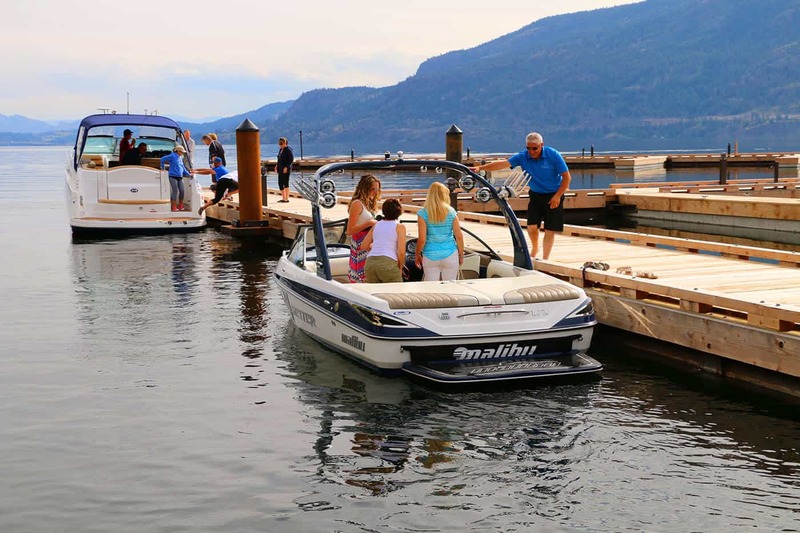 With over 50% of the Marina already leased and stage 3 of the development to be released soon, McKinley Beach is one of the most desirable new home locations in Kelowna.